In this recap video, I show what I was photographing today in Lake Mills, WI and later in Madison, WI. The first was a gorgeous country home and I was doing a photo and video shoot for their realtor. The family portrait was for a Mother's Day Promotion and that session was held at Olbrich Gardens on the east side of Madison. It was a great day -- a long one -- though very fulfilling. There are some Straight out of Camera (SOOC) photos in the video. The interiors will require more post production because of the layering technique I used. The portraits though were very straightforward...I used natural light (mostly backlight) and occasionally I used a Godox ad200 with the round head and round diffuser which worked very well to fill the faces in back lit scenarios. On all of these shoots I used my Sony a7RIII and Sony a9 cameras plus mostly the 12-24 and 16-35 for the interiors. For the portraits I used the 55 1.8 and the 70-200 for virtually all of them. The interiors required lighting so I used a combination of strobe (from the ad200) as well as LED lights from PRL Lighting. Support on the interiors came from Sirui's line up of carbon fiber tripods and heads and they performed flawlessly. The bags that I used to transport all the gear were from Think Tank Photo. They make wonderful bags and I know the folks that are at the company and they are so supportive of my efforts. If you have any questions, be sure and post them in the comments below. If you would like to book a session, send us a message and we look forward to working with you! What's in My Bag for a Real Estate Shoot with both Stills and Video? Tomorrow morning I will have a combined stills and video shoot for a local Lake Mills realtor. I wanted to share in the video the tools that I will be using on this project. Since it is both stills and video it changes the dynamic a bit in terms of how I consider lighting it. If the shoot were stills only, I would most likely be using a strobe set up (Godox AD200 and the Godox ad400 Pro). But video doesn’t work with strobe (flash) so I have to go with LED. So which one to use? I will be using the small and yet powerful PRL Lighting Lustra L50 unit. The beauty of this unit is that it is powered by the ubiquitous Sony NPF battery and also a small and lightweight AC adaptor (like the size one uses with a laptop.). There are other LED lights on the market with more power but those tend to demand a bigger footprint and a much larger (and heavier) power supply. Since I am going to do this one on my own, I need to be as light and as mobile as possible because it’s a rather tight window to do both stills and video within the time allotted. The gimball is the Gudsen Moza Air 2, a superb and relatively lightweight gimbal that allows me to work with my preferred lenses for this. 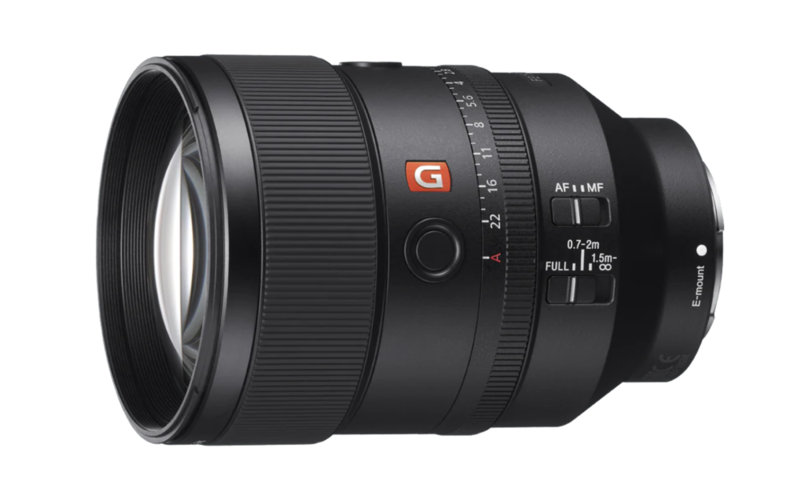 The lenses will primarily be: the Sony 16-35mm f2.8 G Master and the 12-24 f4 G OSS lens. Both are superb and I will probably use the 16-35 on the gimbal camera (the reason being is that it has an 82mm filter thread which I can use to place a Sirui Variable ND filter if necessary). For support I will be using several Sirui carbon fiber tripods. Lightstands are the small and quick to deploy Cheetahstand C8 which is grab and go easy. Perfect for a one person job like this. I will carry the gear in Think Tank cases— the Airport Security for the main camera gear and then the Video Tripod Case for the lightstands. A small Retrospective shoulder bag will carry the overflow. I did a quick scout of the location the other day and it is a stunning home on an amazing property outside of town. I want to showcase this lovely home in order to help the realtor sell quickly and for top dollar. Let me know what you think of the video in the comments below especially re: the things I talk about near the end of the video. THANKS! I had an inkling that Sony's 135mm f1.8 G Master was going to be good...but I didn't expect it to be even THIS good!! Roger Cicala, the founder of Lens Rentals and one of the really great guys and minds in the photo industry tested 10 pre production models of this new telephoto lens by Sony and the results, were, well, pretty astonishing. When Roger speaks I listen. “This is the sharpest lens we've tested. Period. At last count that's out of 300+ lenses tested." Another thing that I love about the lens, is the fact that it has the mechanical aperture ring as well as the ability to slide a button to turn off the aperture clicks — perfect for video! The Focus Lock button is another feature that I have grown to love on the GMaster (and G Series) Sony lenses. That button can be remapped for just about anything and I will remap it for Eye AF when shooting stills. With the addition of this lens, the Sony line up of what I might call the “Still-Cine” lens line up includes: 24 1.4 GMaster, 35 1.4 FE Zeiss, 50mm f1.4 FE Zeiss, 85mm f1.4 GMaster and the 135 1.8 GMaster. (Please note: the 35 1.4 and the 50 1.4 lenses do not have the Focus Lock button on the side). I call them this because they are superb as still lenses with AF and all and also work astonishingly well in video modes (especially with the newer model cameras). And while they are all focus by wire lenses, they are very well constructed and have a very natural manual focus feel when using (though I use AF for stills and video nearly 99.9% of the time). What Sony Camera Kit can I create for $10K??? A friend asked me what Sony equipment he should get for his college-aged daughter who wants to be a photojournalist. His budget? $10K. In this blog post I have three kit suggestions all coming in under that $10K.